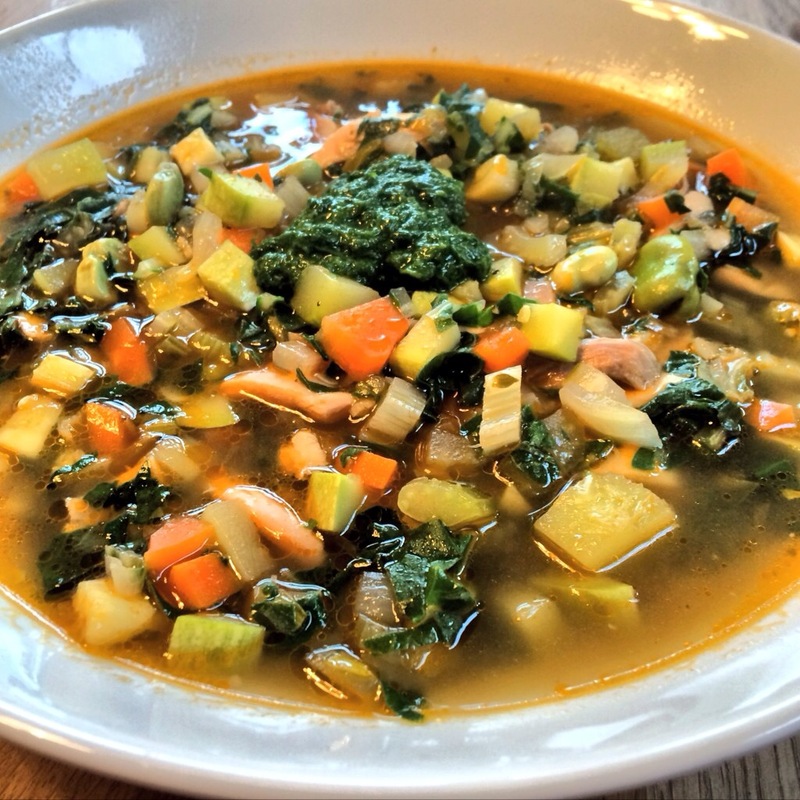 A simple summer soup, use the best seasonal vegetables available to you, not necessarily the ones I have used. 1: Brown chicken in a little oil for 5 minutes then add enough water to cover, simmer for 1 hour until chicken is cooked and you have a lovely stock, reserve stock and let chicken cool. 5: Shred chicken from the bone and add back to the broth. 6: Add remaining veg and simmer for another 5-10 minutes. For the basil drizzle, use a mortar and pestle to grind the basil leaves to a paste with a little course sea salt, a squeeze of lemon and olive oil. Serve immediately with a spoonful mixed through the soup.